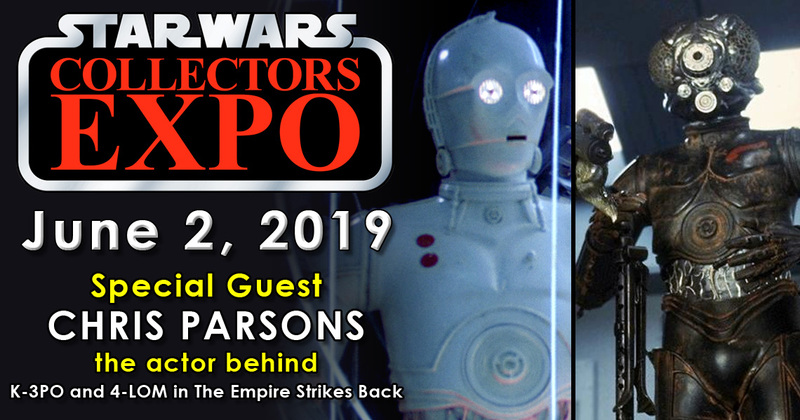 We are very happy to welcome Chris Parsons the actor behind 4-LOM and K-3PO in Star Wars: Episode V The Empire Strikes Back to Star Wars Collectors Expo 2019 for his first ever Canadian convention appearance. Parsons also acted as C-3PO’s double and stand-in in Star Wars: Episode VI Return of the Jedi. Mr. Parsons will be available for autographs and photos all day Sunday, June 2nd at the Hilton Mississauga/Meadowvale.